After returning to a position of solvency, the new Racing Point Force India team was granted an official entry in Formula One. The team has completed three races under the new leadership and name since, but the mid-season entry still raises question marks. Following a lengthy period of financial insecurity, the Force India was put into administration during the Hungarian Grand Prix. The squad was rescued by a consortium led by Lawrence Stroll in mid August. However, the matter was not solved with the fresh financial injection. The FIA had to carry out an intense scrutiny of the legal situation surrounding the takeover of the former Force India team. The governing body needed to decide about the way how they handle the mid-season entry of a freshly founded business. In the end, the former Force India entry has been officially annulled, with the FIA ruling that the team is excluded from the world championship with immediate effect. This action forfeits its constructors’ championship points. Although depriving the team of their points was harsh, the legal insecurity surrounding the mid-season entry was a move which required the approval of rival teams. All nine other teams had to approve the arrangement which secures the Racing Point Force India to retain the commercial rights earned by its former identity. McLaren and Williams were understood to be among the last teams to do so. It enabled the new entrant to keep the money that Sahara Force India earned in the past years. Next to this boiling financial question lined up a string of other sporting and legal issues. Being a new entrant, the team, theoretically, has not used any power units or transmissions. It could have provided them with a completely fresh allocation of engines and a new gearbox for the Belgian Grand Prix, the first race for the new outfit. However, fearing from disagreement of rival teams, the FIA kept the allocation of the former entity, the Sahara Force India squad. In Singapore, the Racing Point Force India and the FIA faced a new matter regarding the sporting side of the business. The team was found guilty over the weekend for an unsafe release during the final free practice session. Esteban Ocon was released in an unsafe manner and drove into the path of Kevin Magnussen. The stewards took note of the incident and handed the team a €5,000 fine. The case has highlighted how some sporting elements related to Sahara Force India have been carried over to the new Racing Point Force India by the FIA, and others have not. The team was fined a €15,000 at Paul Ricard when Sergio Perez was released with a loose wheel. On top of that, the team received a penalty of a €85,000 suspended for 12 months. The higher fines were triggered by the incident which was of greater seriousness than the one in Singapore. The incident at the Marina Bay Street Circuit could have triggered the suspended penalty as it was within 12 months. However, the stewards decided against the suspended penalty. They thought it was not valid anymore as the fine was awarded to a different team. FIA race director Charlie Whiting confirmed that “the stewards were obviously aware of the suspended fine”. 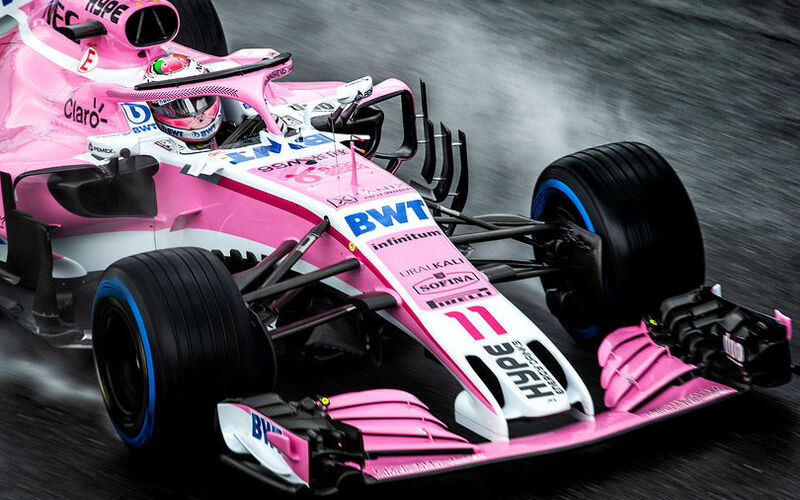 This case shows the seriousness of sporting and legal issues that the FIA and the FOM faced with the Racing Point Force India’s mid-season entry to the sport. The fact that the suspended fine was neglected may be part of a balancing act. The team had to carry on with the PU allocation of the predecessor, but, in return, the former penalties of any form have lost their validity.